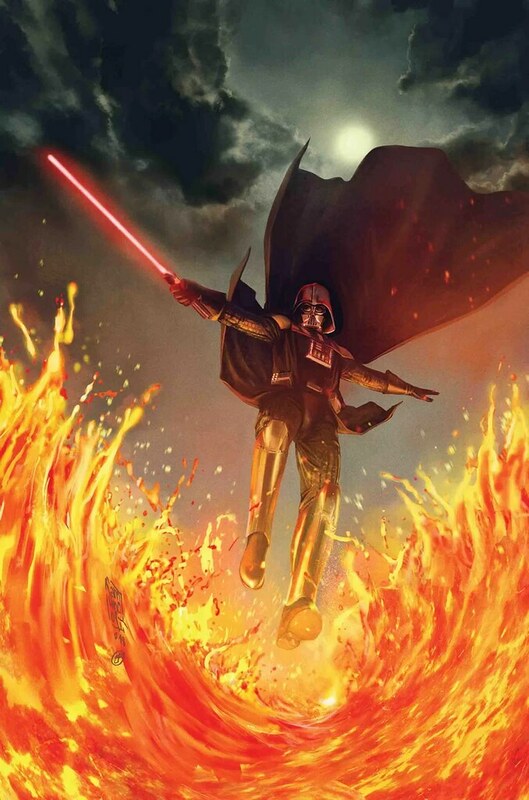 Marvel has four new Star Wars releases today. Latest Databurst From the 501st covering 501st Legion events around the world from September 12 to 18th. As always, be sure to mark your calendars and support your local garrisons. Old Line Garrison will be in Fort Meade, MD for Crypto Con at the National Security Agency from 10:00 AM to 2:00 PM, and in Washington D.C. for the NSO Pops Star Wars: A New Hope Cast Party from 8:30 to 10:30 PM at the Kennedy Center for the Performing Arts. Central California Garrison will be in Sacramento, CA for Crocker-Con from 5:00 to 10:00 PM. Redback Garrison will be at Starlight Children’s Foundation Wish Week. Starkiller Garrison will be in Lubbock, TX for Stewart Elementary Back to School Bash.